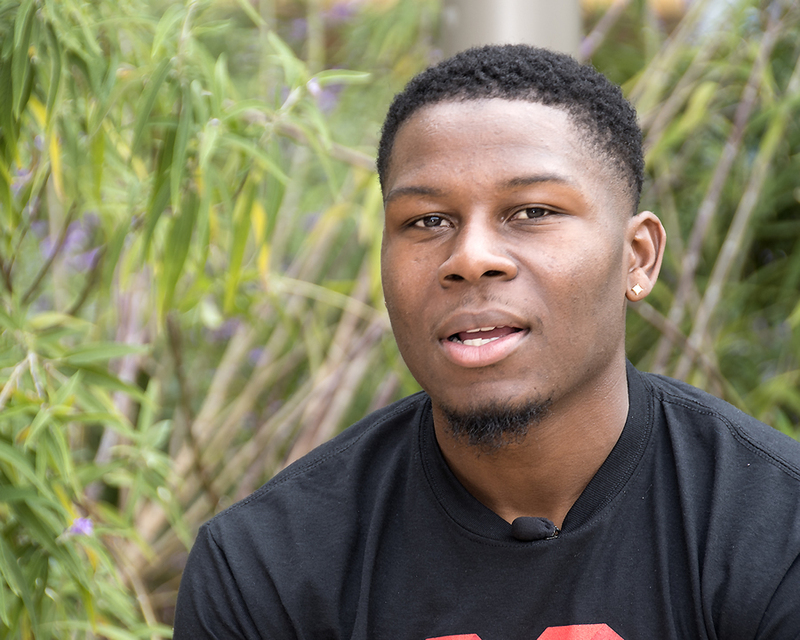 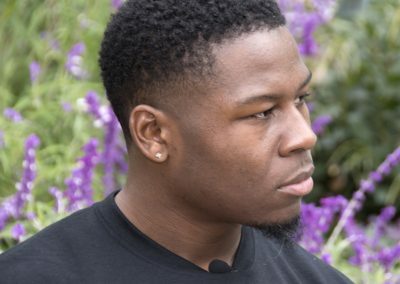 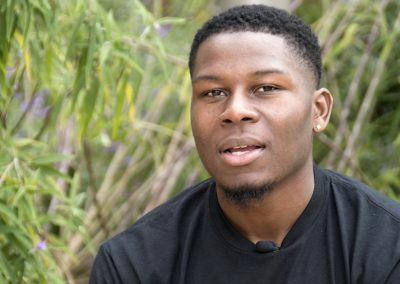 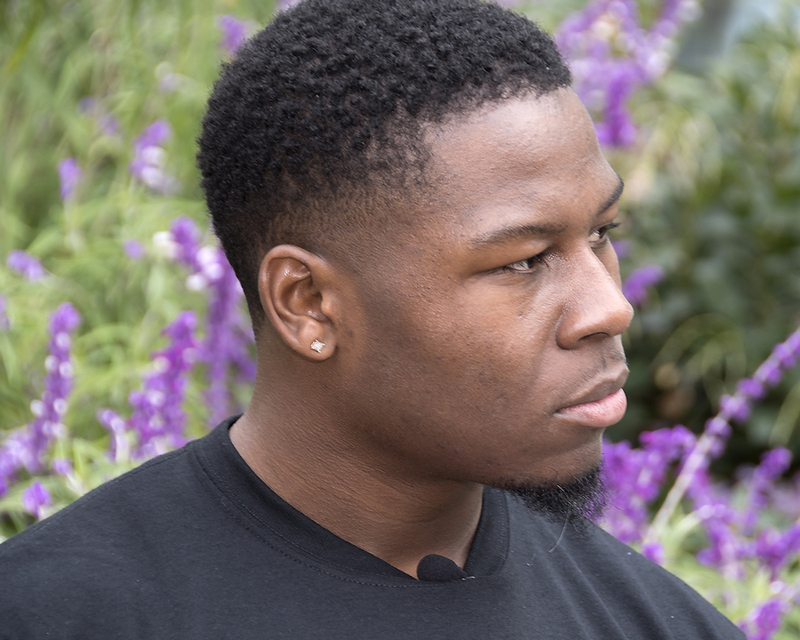 Oakland Raiders cornerback TJ Carrie has something special in common with 21-year-old Taylor Gamino. 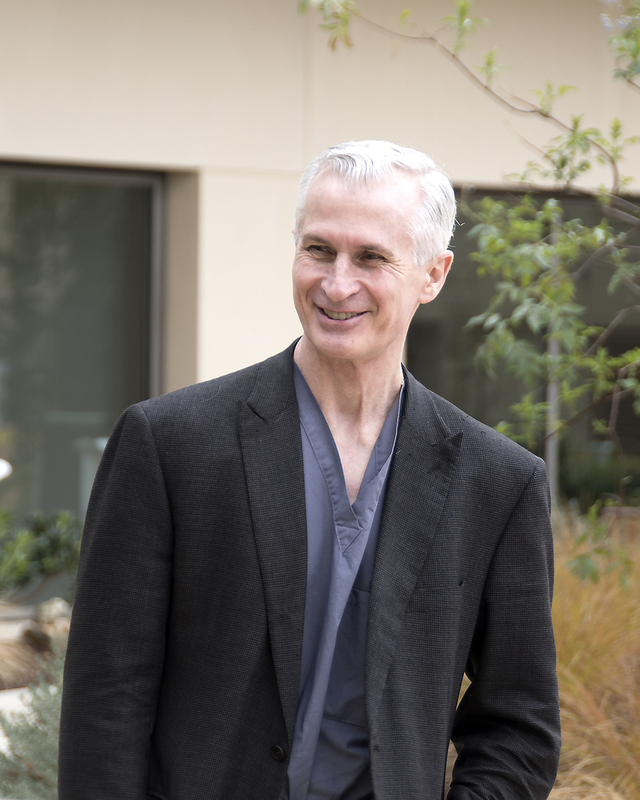 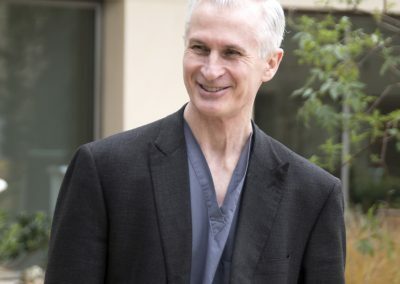 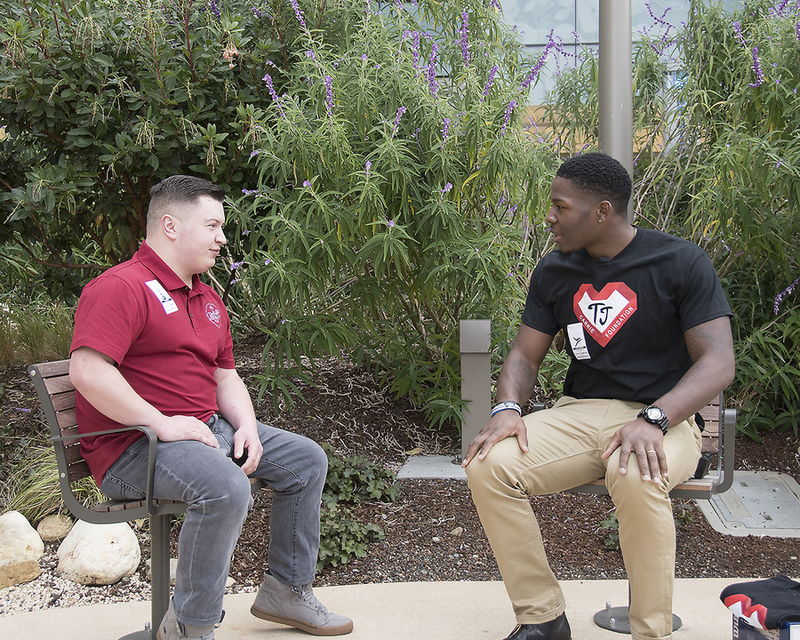 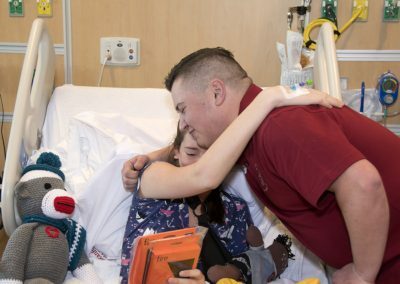 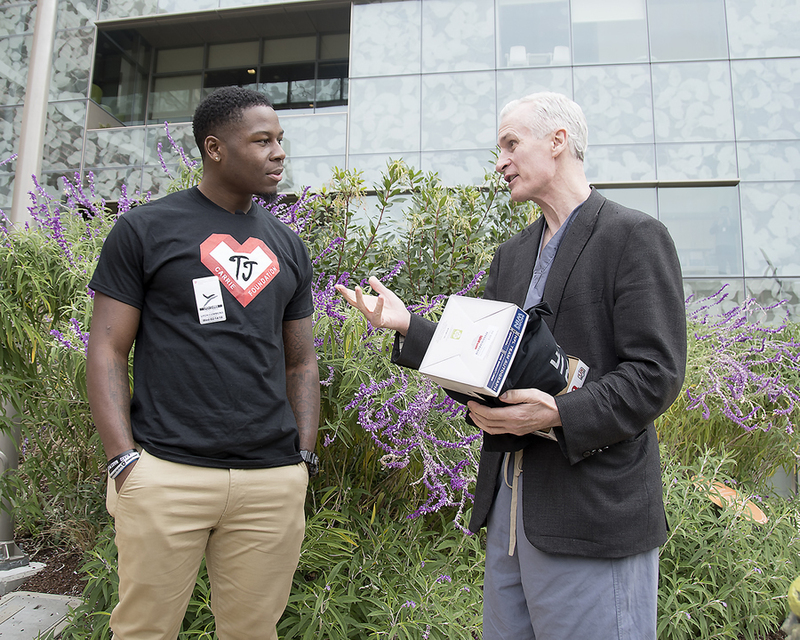 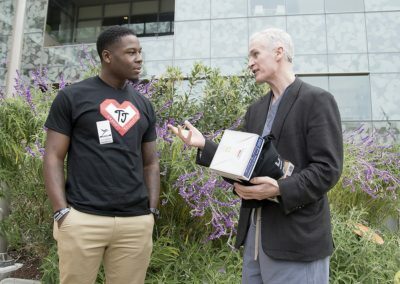 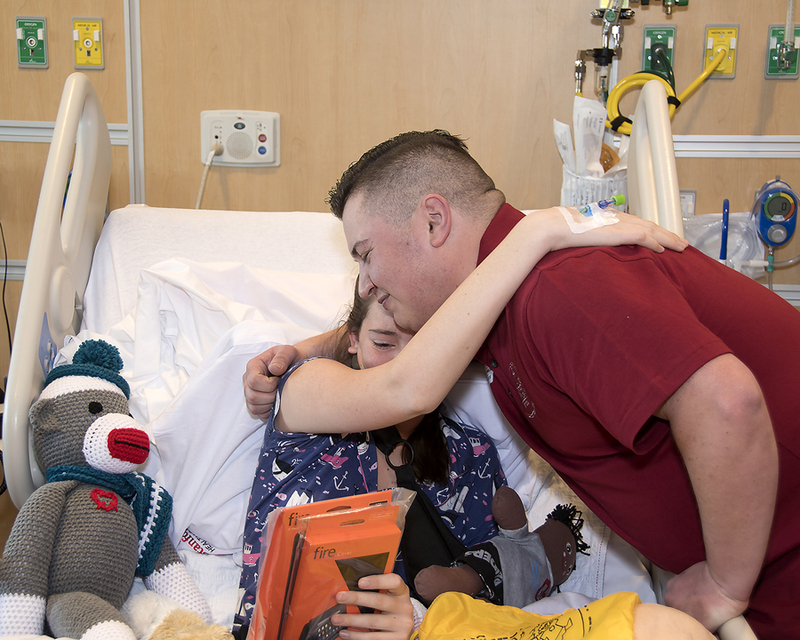 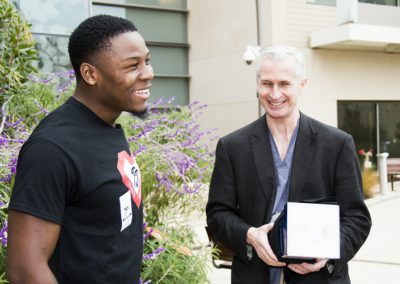 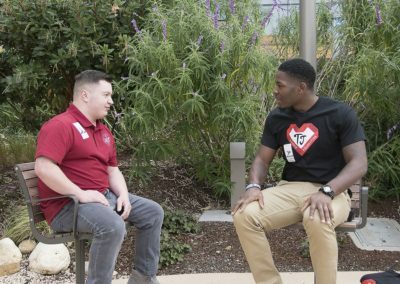 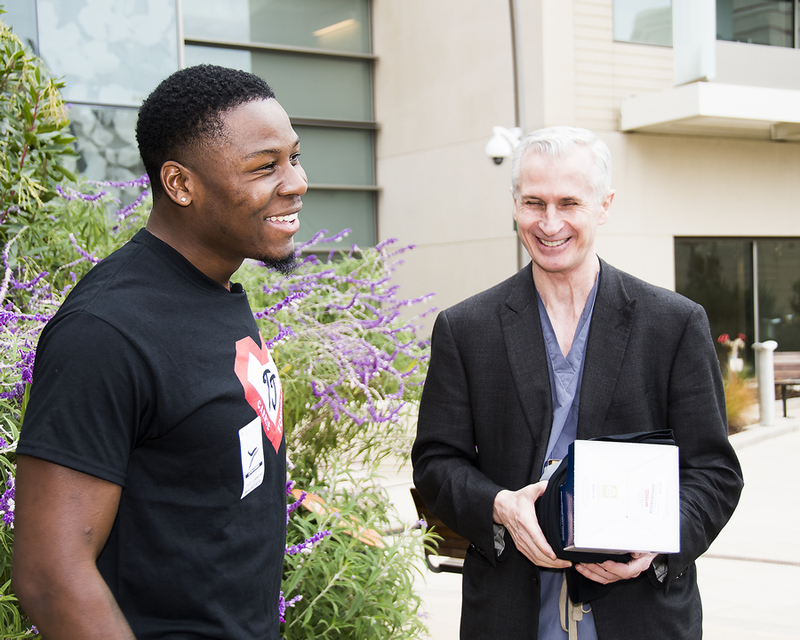 They were both born with congenital heart defects and have undergone open-heart surgery by pediatric cardiothoracic surgeon, Frank Hanley, MD, at Lucile Packard Children’s Hospital Stanford. 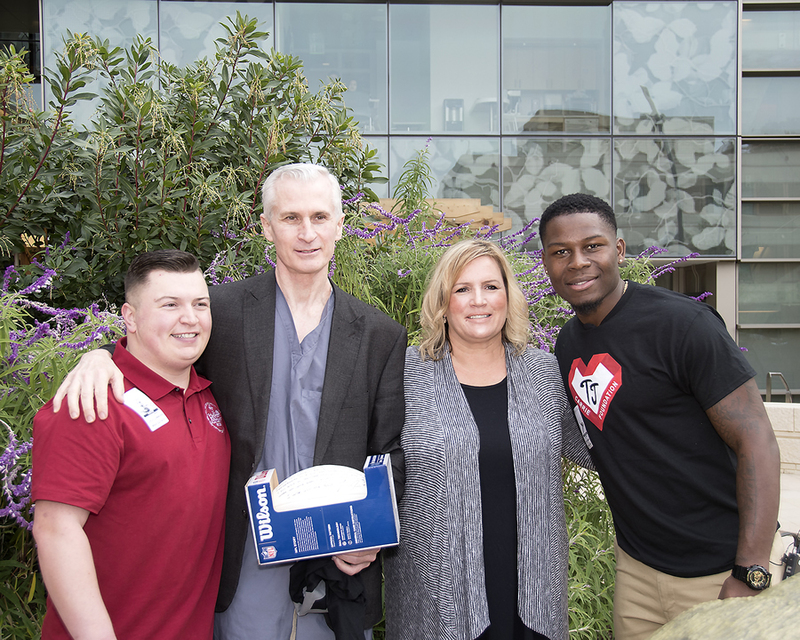 Carrie and Gamino are forever grateful to Dr. Hanley and chose Valentine’s Day to express their appreciation. 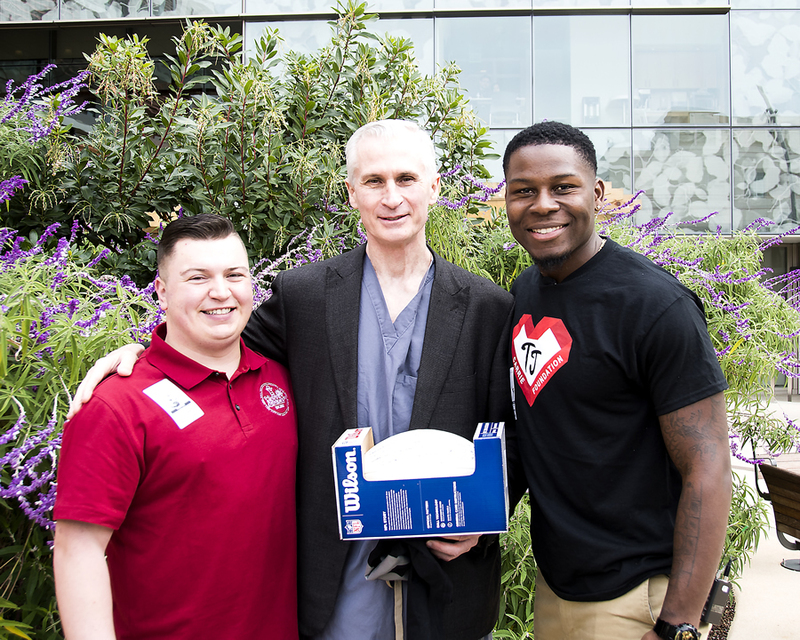 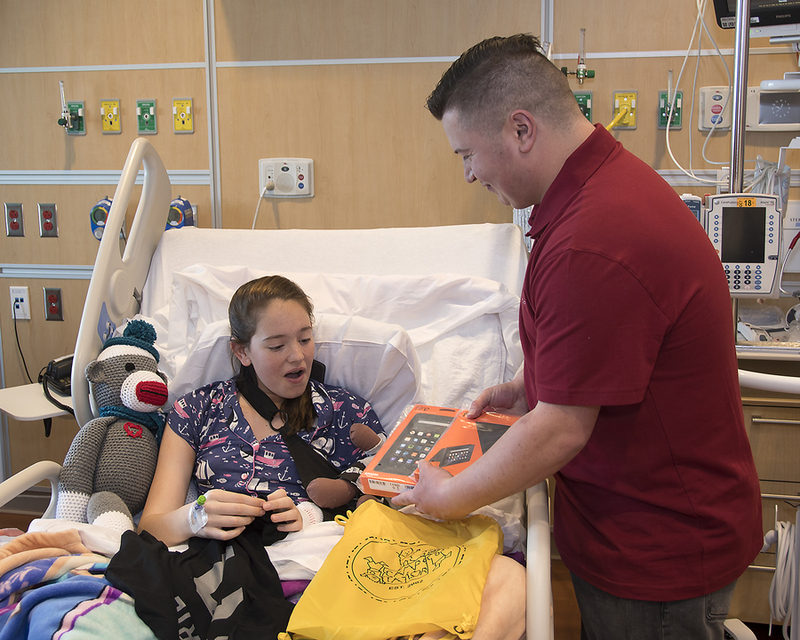 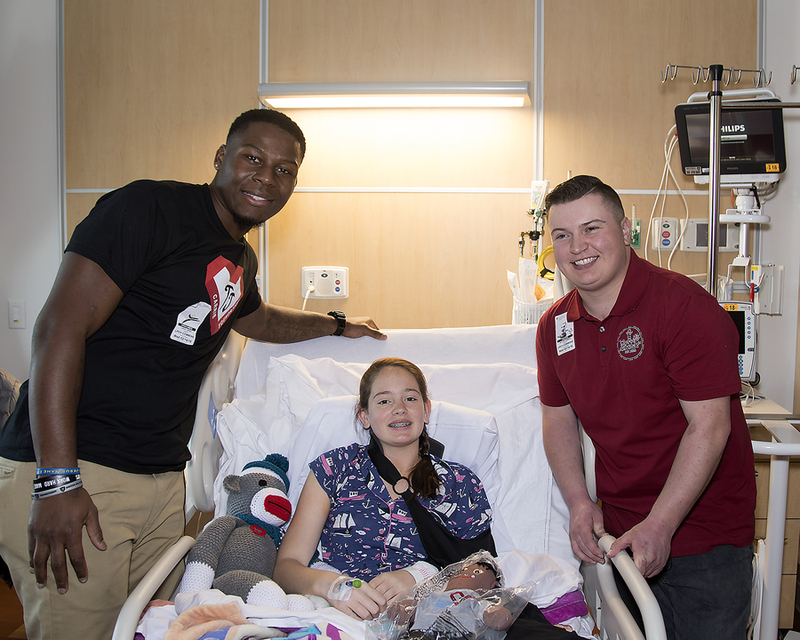 Dr. Hanley, Carrie, and Gamino each have a “Heart Warrior” message for the heart patients in the hospital and wanted to spread some Valentine’s Day cheer. 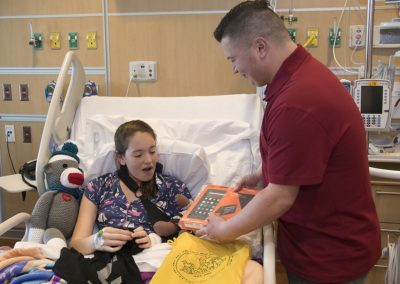 Both Carrie and Gamino brought gifts for the children. 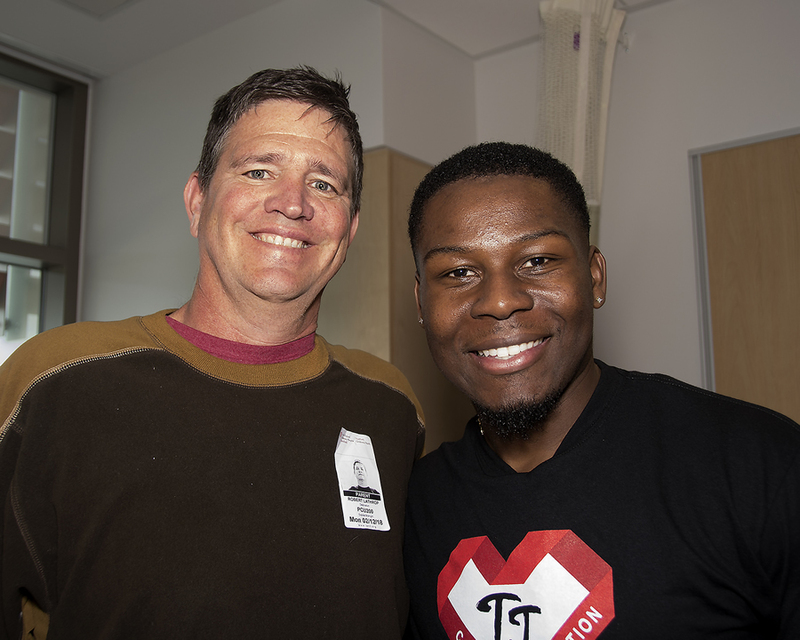 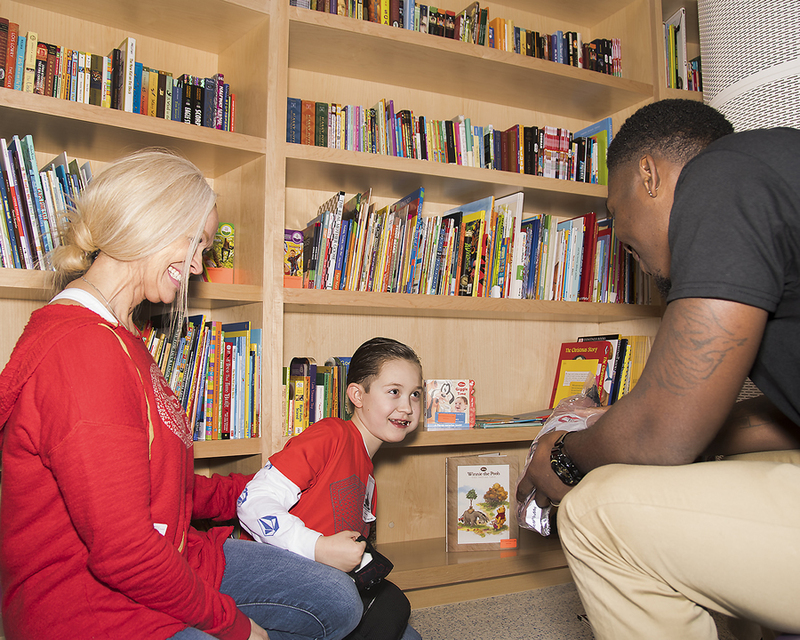 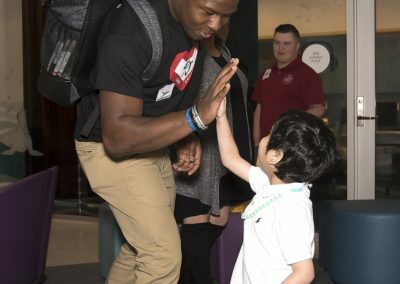 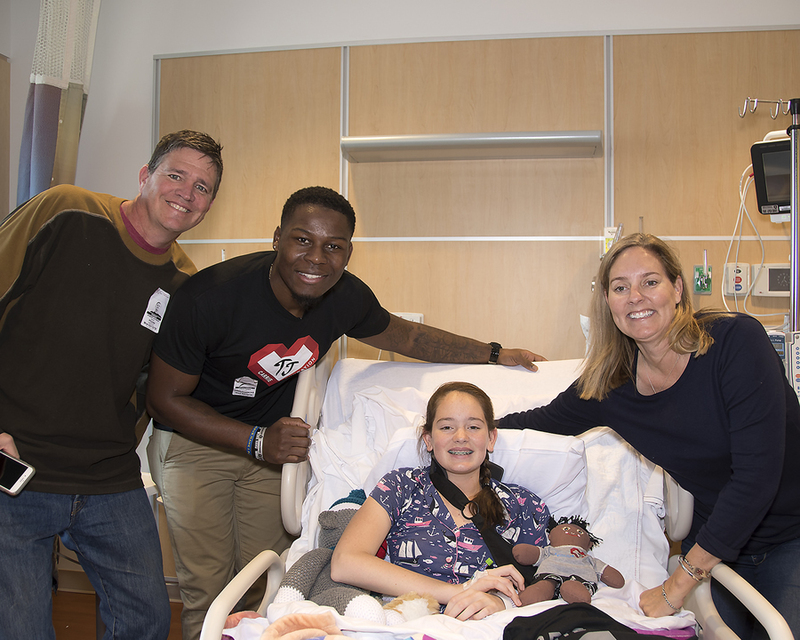 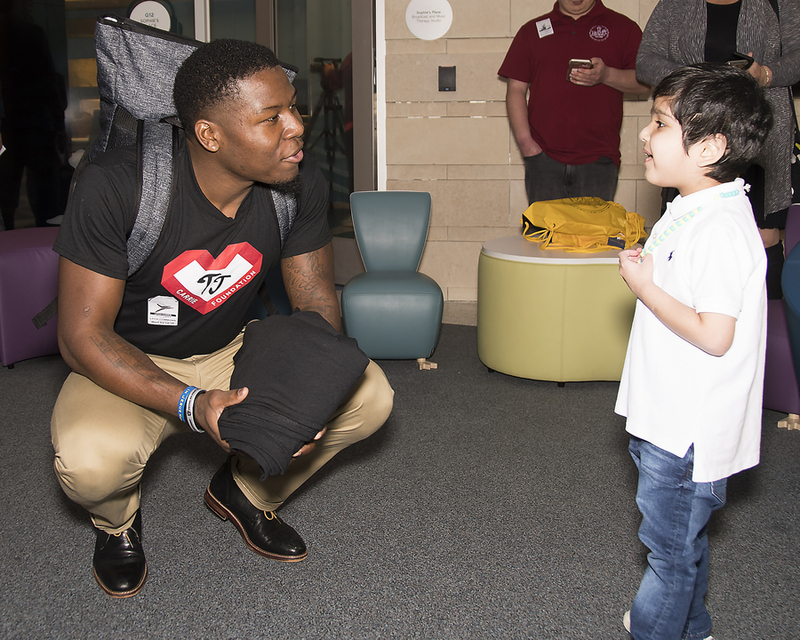 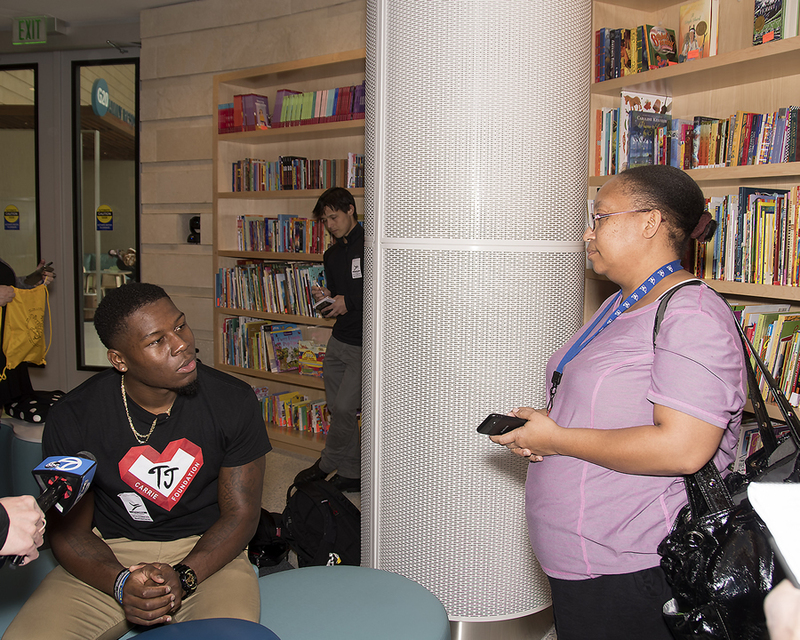 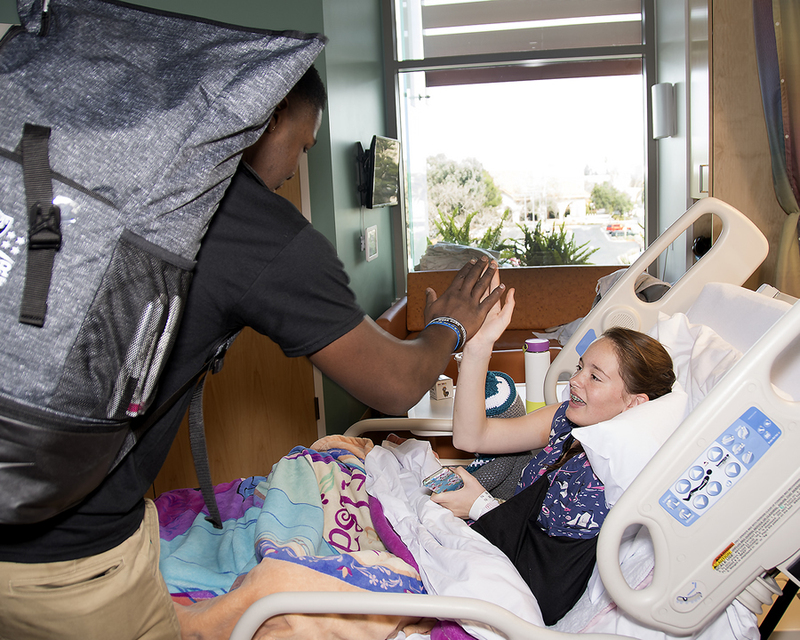 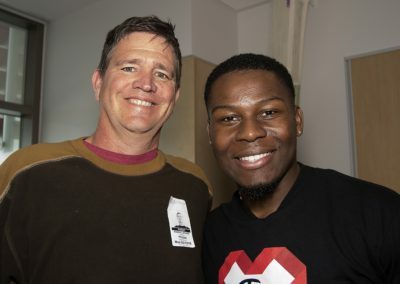 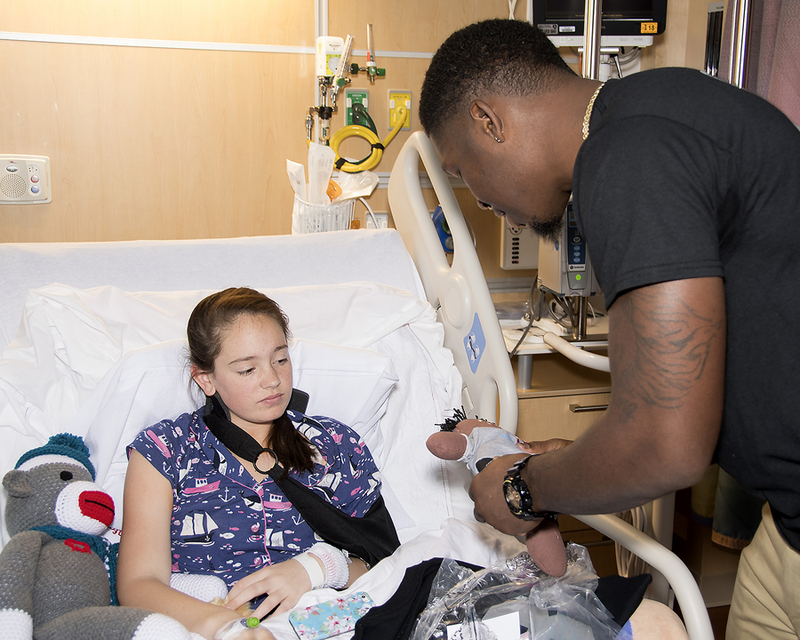 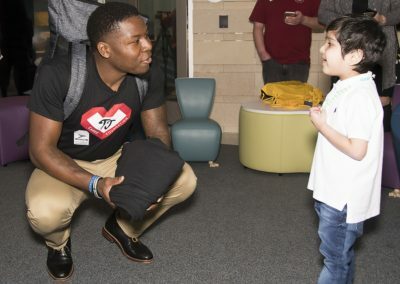 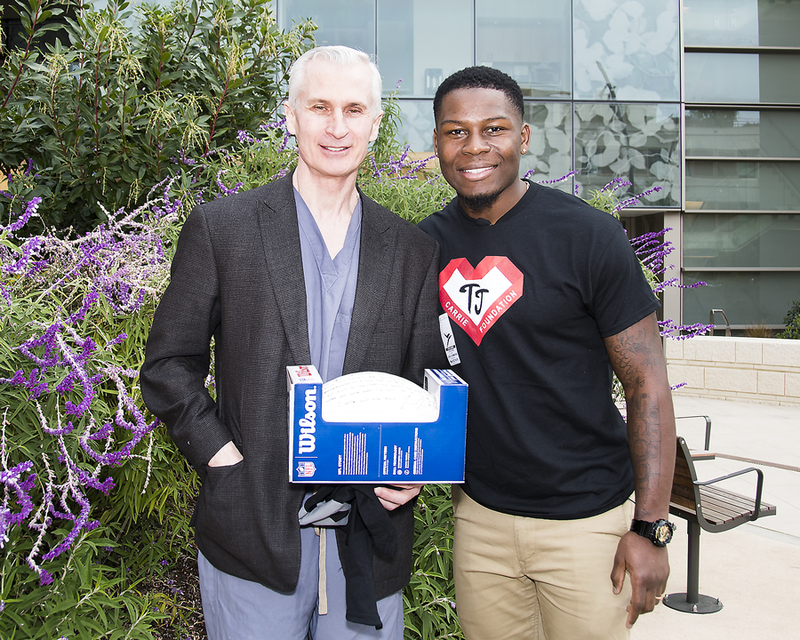 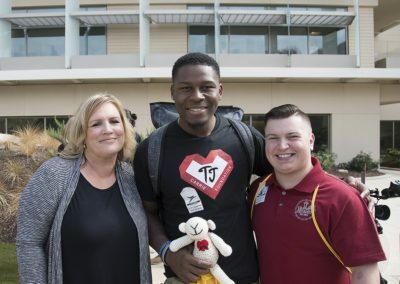 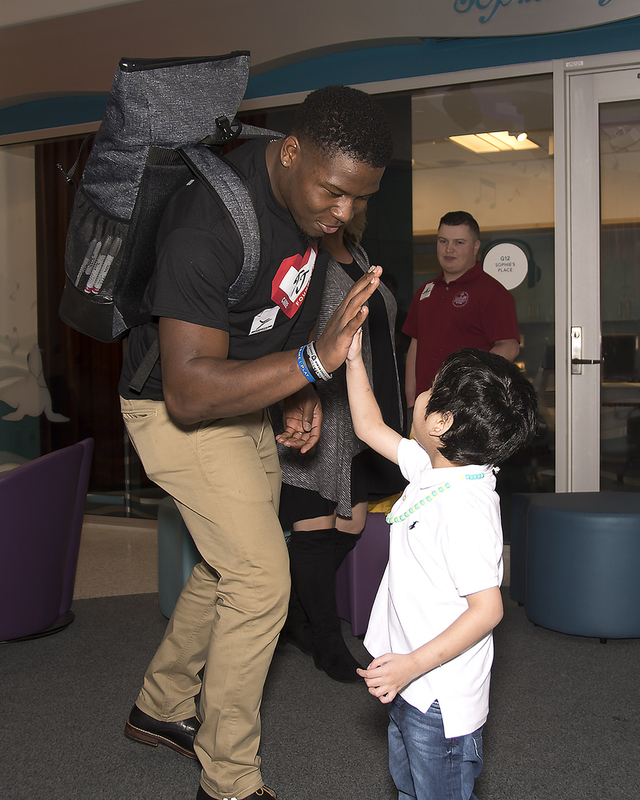 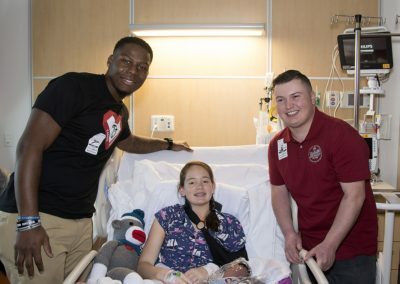 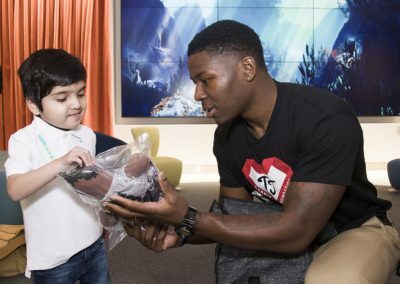 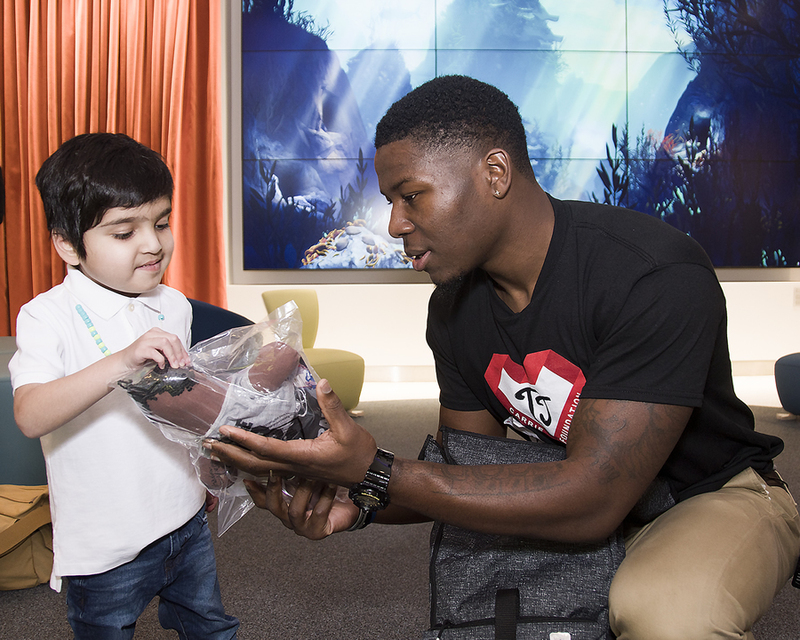 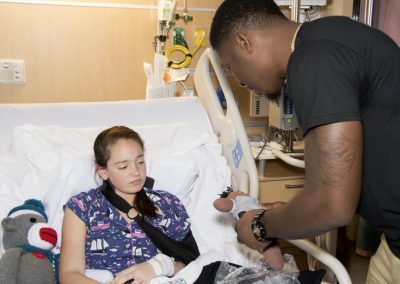 For Carrie, he delivered his personal TJ Carrie Heart Shadow Buddy while Gamino brought stuffed toys for each child. 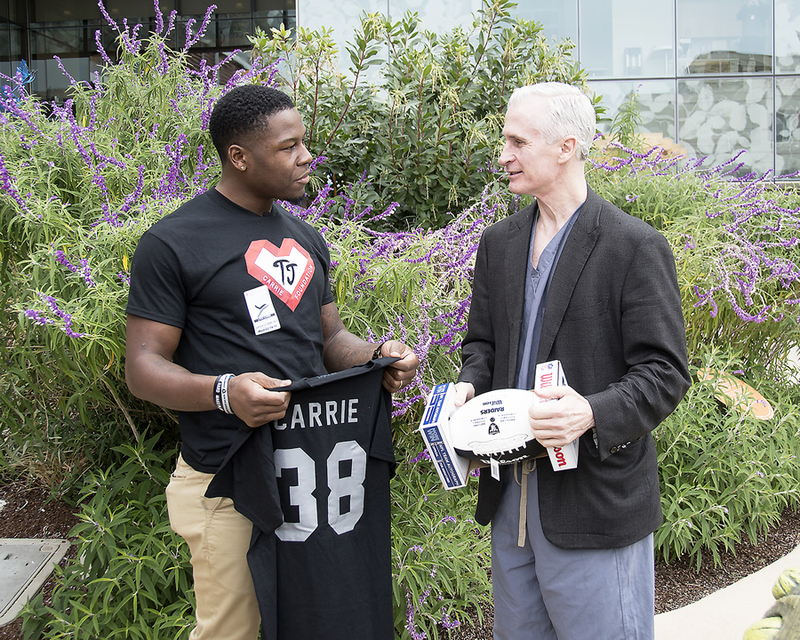 Carrie was diagnosed with a one-in-a-million heart defect while he was a sophomore at De La Salle High School in Concord, CA. 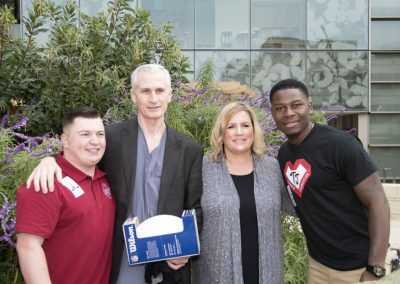 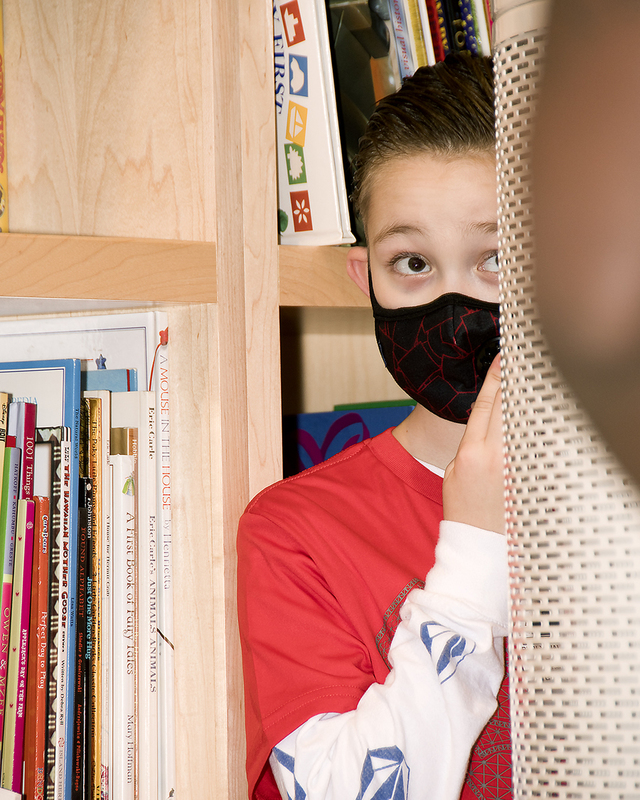 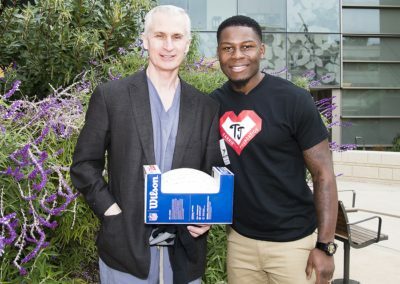 He and his family made the decision to undergo open heart surgery to repair his heart defect, which was performed on Valentine’s Day in 2006 by Dr. Frank Hanley at Oakland Children’s Hospital. 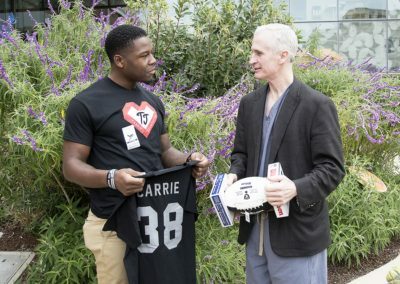 After a long recovery, Carrie was able to return to high school football and chase his dreams to the NFL. 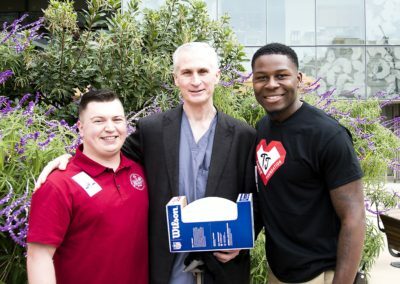 Gamino was born with Hypo-Plastic Right Heart with intact ventricular septum (Half of a heart) and underwent four open heart surgeries and suffered a stroke in the first 5 years of his life. 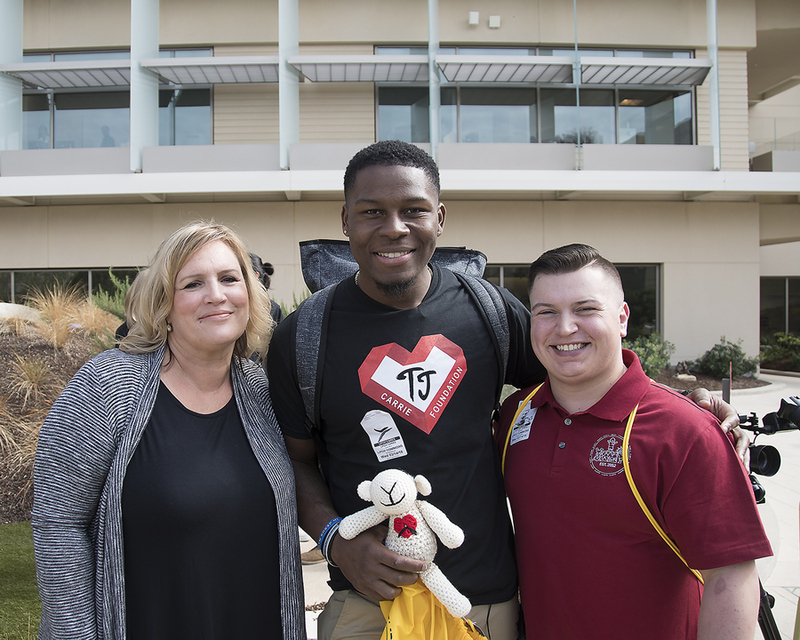 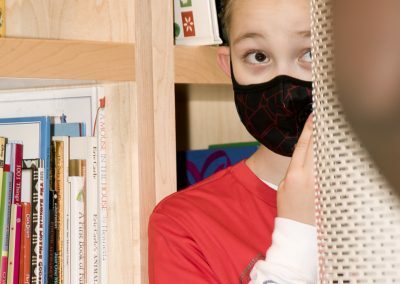 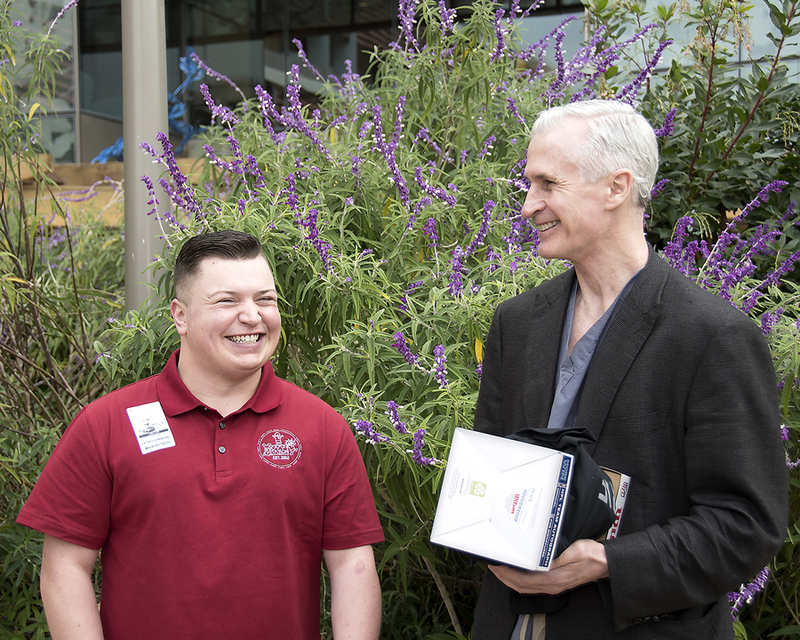 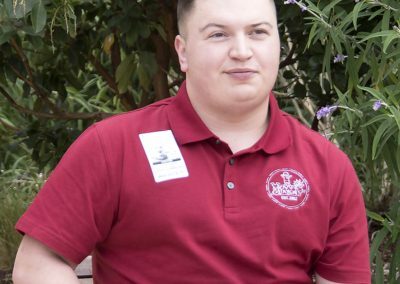 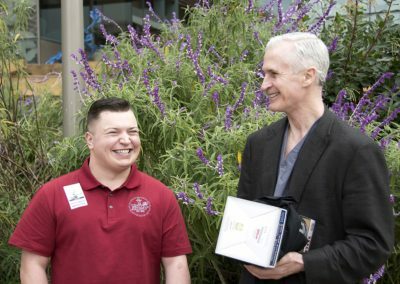 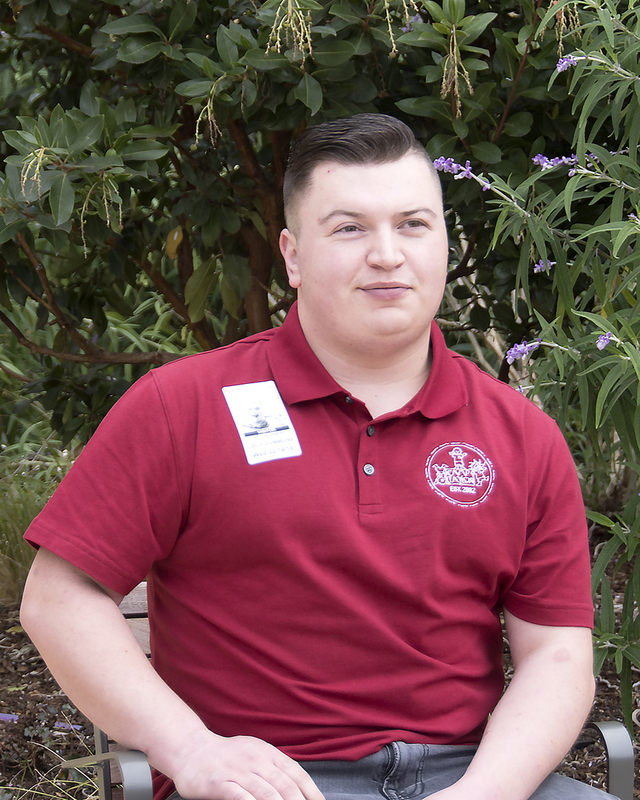 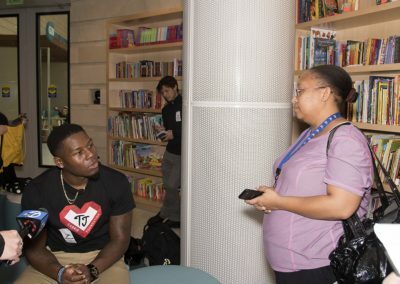 Gamino’s limitations, due to his heart condition, inspired his family to create the nonprofit organization Camp Taylor, which bares his namesake, a free medically supervised California camp for children with heart disease.